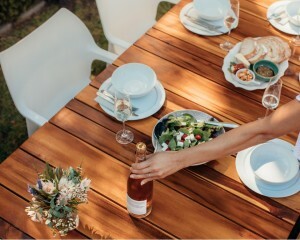 When the sun starts shining brighter and the smell of evening cookouts spread in the warm summer air, you know its time to dust off your trusty BBQ, grill or smoker! Here are some delicious and simple BBQ recipes under 500 calories that will delight your taste buds while keeping you healthy this summer. Written on Thursday, March 28, 2019. Ready for your backyard to blossom and bloom this year? Well, one sure-fire way to make that happen is to incorporate some of the best trends of 2019! 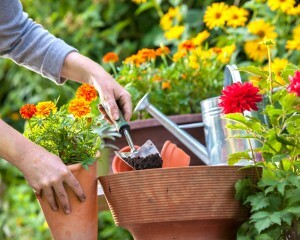 Our experts at Big John’s in Kalispell have rolled up their sleeves, put their heads together and created a list of the top backyard trends springing into action this year. Take a look at the trends in this article to get started! Written on Tuesday, January 22, 2019. Does your backyard need a boost? If so, you’ve come to the right place! At Big John’s in Kalispell, we have a wide range of backyard solutions fit for just about every homeowner. No matter your style or budget, there’s a solution for you. But if you’re like the many others who come in search of a warm, jet-driven soak in the luxury of a spa, you might be hit with the same debacle: should I buy a hot tub or a swim spa? While very similar, hot tubs and swim spas do have a few things that set them apart from one another. In this article, we’re going to dig a little deeper into what separates the two and hopefully help you come to the best decision possible! Written on Thursday, December 06, 2018. Do you want to throw a backyard party? We don’t blame you! The summertime is arguably one of the best times of the year to spend time in your backyard. So, why not ask all of your friends and family to join you by throwing a party? You can involve the various features of your backyard into the party, give it a theme and invite whomever you desire! But first, you need to prepare your backyard (and yourself) for this event. 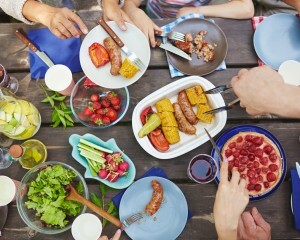 Read on for more information about preparing for a backyard outdoor summer party. Written on Wednesday, July 04, 2018. In this day and age, sore muscles are pretty much inevitable. Think about the things that you do and feel on a daily basis. From sitting in an uncomfortable driver’s seat and spending your day in a stiff office chair, to feeling stressed out and overwhelmed after a long, busy day, there are so many factors that can contribute to feeling sore and uncomfortable. The good news is, you don’t have to suffer alone. By spending some time relaxing in your hot tub regularly, your sore muscles can greatly benefit from a water-based therapeutic technique known as hydrotherapy. Read on to learn more about hydrotherapy, how it works, and how you can benefit! Written on Thursday, June 07, 2018. After a long, dreary winter, we can finally look forward to the warm spring and summer months! One of the best places to enjoy the warm sun and fresh air is none other than your own backyard. Especially with all the fun outdoor features you’ve installed and beautiful landscape you’ve maintained. The colder temperatures can unfortunately take a toll on your backyard, which is exactly why it’s so important that you take some time to revamp it for the spring. Keep reading to learn about how you can prepare your property for the spring in a few simple steps. For those who are bored of the lackluster look of their backyard, we have the perfect solution. Take your boring backyard and turn it into the outdoor paradise you’ve always dreamed of. Your backyard should always cater to the needs and wants of you and your family. That most definitely includes being both functional and aesthetically pleasing. In this post, we are covering the whole process of revamping a backyard in just six simple steps. It certainly can’t get easier than this. Are you looking for a new way to advance your health and wellness endeavors? Hot tub yoga might just be for you! Whether you’re new to the world of yoga or if you consider yourself an expert in the practice, you might find that this approach is a good fit for you. The water can offer a comfortable and inviting atmosphere, perfect for anyone who suffers from joint or muscle pain. In this article, we’re going to take a look at the basics of hot tub yoga and even dive into some poses for you to try! Written on Thursday, January 18, 2018. 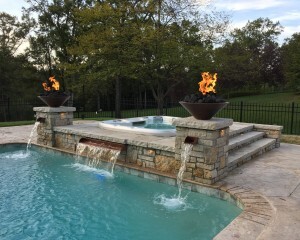 If you’re looking to add a fun, relaxing and entertaining feature to your home, an outdoor swim spa or a hot tub might just be for you! Not only are they fun and recreational, but they are flexible and practical, too. The various available sizes can help you accommodate physical routines and other exercises, which you can use to enhance your wellness and stay active. Check out this article and read on to learn more about how to stay fit during winter by using an in-ground swim spa or hot tub, the right way! Written on Monday, December 18, 2017. The hot tub market is extremely diverse. In fact, there are many options that cater to a wide range of buyers, from deluxe home owners, to young families who are just getting started and are looking for a way to add more cozy features to their backyard. Whether you are looking for a high-end hot tub model or you’re set on saving a few bucks with an entry-level offering, it is essential to know what you are getting. Let’s take a look at the average prices for hot tubs and why. Hot tubs are notorious for excellent features and benefits. Not to mention the incredibly relaxing and rejuvenating backyard experience they can offer. For anyone looking for an improvement in health and overall quality of life, a hot tub might be the answer. Read on to find out more about the many different perks that you can enjoy by using a hot tub on a regular basis. Written on Wednesday, October 25, 2017. A pressure washer is a truly remarkable piece of home equipment. Simply because it’s extremely versatile and effective. 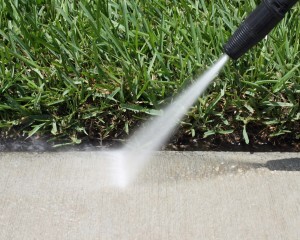 Pressure washers can be quite useful in a wide variety of situations. They can help owners save considerable time and effort in the process of cleaning around their home exterior. Let’s take a look at the top 7 uses for your pressure washer! Written on Monday, September 25, 2017. Many outdoor swim spa owners love to spend time lounging in their spa. However, it’s always good to remember that a swim spa can also be used for other reasons, such as staying fit and active. As a matter of fact, water-based fitness can offer many amazing benefits and can be suitable for those in all stages of their lives. This includes the elderly, children or individuals with low mobility. There are many great exercises you can perform in the water. Read on to find out more about the 5 best outdoor swim spa exercises to stay fit and target various areas of your body! Written on Wednesday, August 23, 2017. 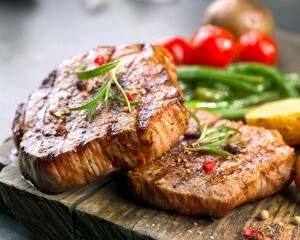 BBQ luncheons and parties are synonymous with nice summer days, best shared with family and friends. 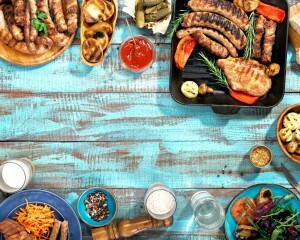 Whether you are looking to impress your friends or live a healthier lifestyle without giving up the joy of a good barbecue, these recipes will certainly appeal to your creativity…and taste buds too! Read on to see the best 4 BBQ recipes to try this summer! Written on Monday, July 31, 2017. 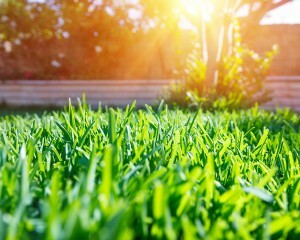 Nothing says summer quite like the perfect lawn! Taking care of your lawn isn’t hard, but it does require some care, time, and dedication. If you’re willing to put in a little extra effort, you’ll certainly be rewarded with an amazing lawn! One you’ll be proud to show off and happy to enjoy every single day! Read on to discover five easy tips to make your lawn perfect. Written on Sunday, June 18, 2017.